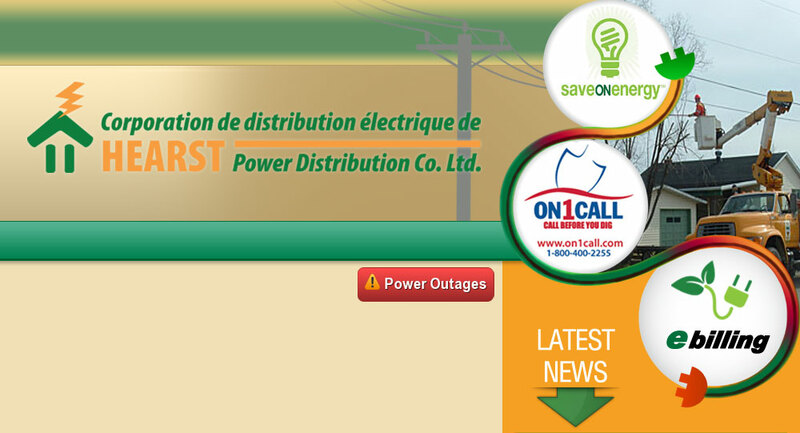 Hearst Power Distribution Company Limited is a local distribution company (LDC) incorporated under the laws of Ontario. 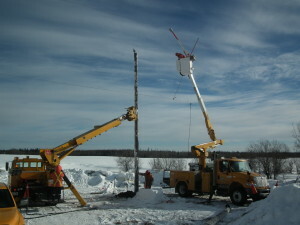 The company owns and operates the electricity infrastructure, distributing electricity to homes and businesses within its service area in the Town of Hearst. Electricity used on weekends and holidays is charged the off-peak price. Planting a tree, building a deck or a fence? Contact ON1Call first to get a locate so you can dig safely. Remember, you are liable for any damage or injury caused by interfering with any buried infrastructure. 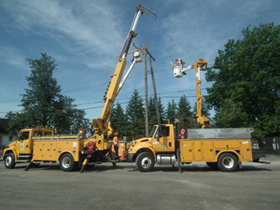 Request your free locate online or call 1-800-400-2255. They are open 24 hours a day, 7 days a week. * Allow 5 working days for all your locating requests. Hearst Power Distribution Company Ltd. and your community services are working together to help you improve your home’s energy efficiency with free energy-saving upgrades, which can lower home energy use and your electricity bill. You may qualify for free upgrades, including: ENERGY STAR® certified LEDs; ENERGY STAR® certified appliances and Insulation and weatherstripping. Affordability Fund ™ is a trade-mark of Affordability Fund Trust, used under license.